chance to visit New York on a regular basis. and that the meeting notice was how he realized that he could partake in club activities. 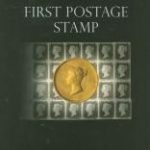 The Collectors Club Philatelist is continuing to evolve under Wayne Youngblood’s editorship. (info@collectorsclub.org or president@collectorsclub.org) is helpful. outreach, and can even be regifted with our blessings if the recipient so desires. 2018, which was held Jan. 26-28 in San Diego, Calif.